Achondroplasia, the most common form of human chondrodysplasias, is a rare disorder of impaired endochondral bone ossification, observed in 1/20,000 live births, as a result of over activation of fibroblast growth factor receptor 3 (FGFR3), a tyrosine kinase receptor that restrains over-proliferation of chondrocytes. The ensued mutation in the FGFR3 and its signaling results in various skeletal anomalies. The cause of skeletal dysplasia is frequently a de-novo mutation; however, the mode of inheritance is autosomal dominant if a parent carries a mutated FGFR3 gene. The homozygous form is fatal and has characteristics comparable to thanatropic dwarfs. Supervision of pregnancy in achondroplastic patients is a demanding task for obstetricians owing to cephalo-pelvic abnormalities and spinal curvature disorders. Furthermore, the airway anomalies create an impediment in the anesthetic management of such patients, including laryngomalacia, sternal protuberance, pulmonary malformations, cervical instability, inflexible temporomandibular joint and obstructive sleep apnea; therefore stringent preoperative assessment is obligatory. We reported an anecdotal case of a 28-year-old achondroplastic gravid woman who was referred to us from a tertiary care unit at 33 weeks of gestation. Frequent follow-up appointments with obstetrician, cardiologist, and anesthesiologist were performed due to the escalated risk of various complications. A comprehensive prenatal counseling, extensive assessments of potential risks were conducted by a multidisciplinary team to design a multiparametric management plan. The patient underwent general anesthesia following the failure of spinal anesthesia induction for an emergency caesarean section. We elucidate the risk-benefit analysis associated with the administration of regional and general anesthesia in achondroplastic parturients. 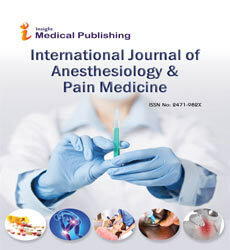 The case offers an insight into devising a systemic management plan for such patients undergoing anesthesia induction. The dilemmas in anesthetic management are also emphasized.